Christmas is getting closer, which usually means that more and more new whisky releases suddenly appear on the shelves in your local liquor store, or the duty free shop at international airports. These are some of the most interesting new releases of the past few weeks. 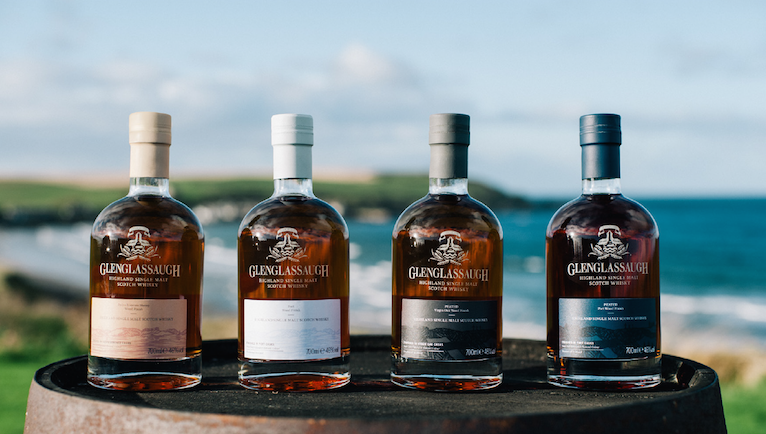 Glenglassaugh recently announced the distillery’s first ever wood finish expressions: a Port Wood Finish, a Peated Port Wood Finish, a Pedro Ximénez Sherry Wood Finish and a Peated Virgin Oak Wood Finish. All of the Wood Finish Series bottlings are available at around 55GBP and are bottled at 46% abv. The Macallan Quest Collection is only available in selected travel retail stores. The Macallan Quest (40.0% abv) is finished European sherry, American sherry, American ex-bourbon and hogshead casks. 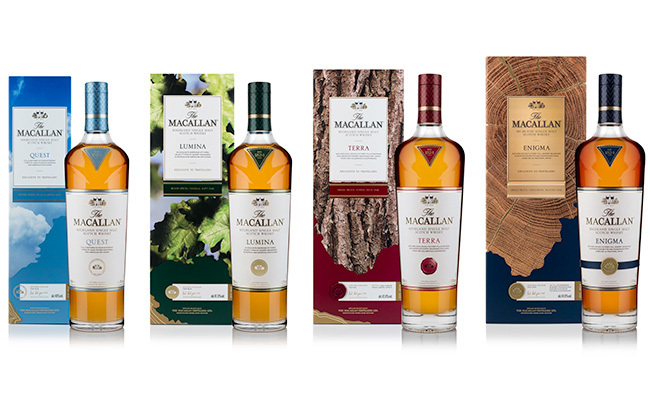 The Macallan Lumina (41.3%) is seasoned by European and American oak sherry and hogshead casks, while Macallan Terra (43.8%) aged exclusively in first fill oak sherry seasoned casks. The Macallan Enigma (44.9%) is matured in first fill sherry butts. Additionally, Macallan is releasing Exceptional Single Casks in both regular and travel retail stores. 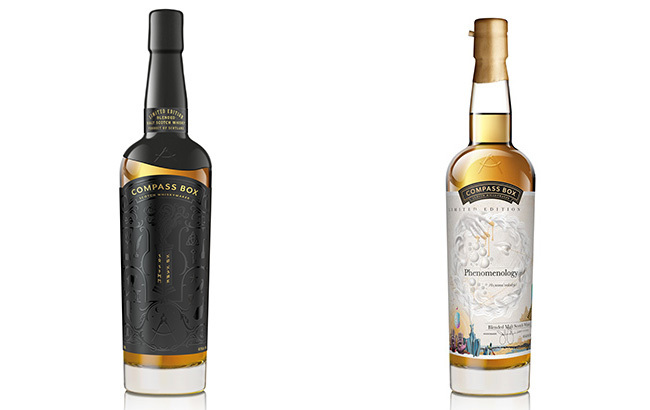 While Compass Box are already known for their high quality whiskies, the recently released No Name and Phenomenology have received exceptionally good critiques. Compass Box No Name is a complex, smoky blended malt and Compass Box Phenomenology is a blended malt with lots of apples and woodspice. Although batches 4, 5 and 7 are still ‘missing’ in the lineup, Johnnie Walker released batch 8 and 9 in their Blenders’ Batch series. Johnnie Walker Rum Cask Finish (#8) is finished in rum casks and bottled at 40.8% abv. Batch #9 is Johnnie Walker Espresso Roast, contains heavily roasted barley (espresso roast), resulting in a darker flavour. Both batches are available in 500ml bottles, at around 30 GBP. Looking for more new whisky releases? Keep a close eye on the Latest Whiskies tab in the Whisky Suggest App. New whiskies are added every day!